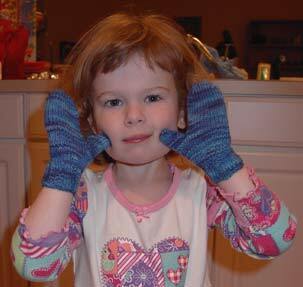 Mittens look great...and the little model is adorable too...you go girl! That darling face could sell anything. I'm sure she'll love the mittens. She's gorgeous!! And those mittens are quite nice too. I LOVE THE WALNUT ROOM. I always get Frango Mints when there as well! 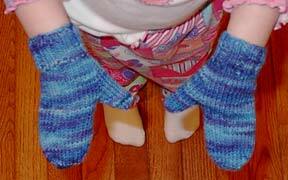 cute cute mittens, makes me want to pull out the koigu and knit some. Mittens are darling! And Maddie too. Such a whiz at finishing you are. I need to get my felted tihngs closing to felting! Lovely mittens on the prettiest model. I am looking to get mittens like that for my girlfriend but have no idea where to start. Does anyone have any ideas?